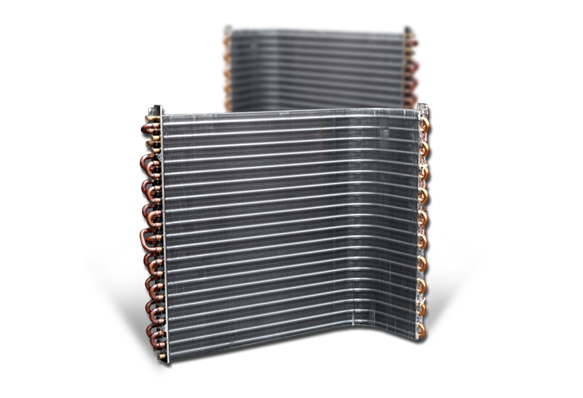 Heat exchangers are essential elements in the air conditioning system. At Amber we manufacture coils for air conditioners. It is used to transfer heat from refrigerant to ambient thus providing the cooling needed. Our Multi-Flow Condensers allow us to provide extremely efficient cooling within a small but strong package. Amber prides itself on economy of manufacture – lowering raw material costs, producing micro channel heat exchangers with higher precision, optimizing production time and lowering labor costs leading to an overall reduction of its manufacturing costs. We have Heat Exchanger and one Multi Flow Condensers Line at Dehradun and Heat Exchanger Lines in Jhajjar. Conveyorised Flushing & Oven Baking, Auto Brazing, Flushing, Evacuation, Choke Test and Leak Test facilities. Multi flow condensers are also known as Aluminum Heat Exchangers.